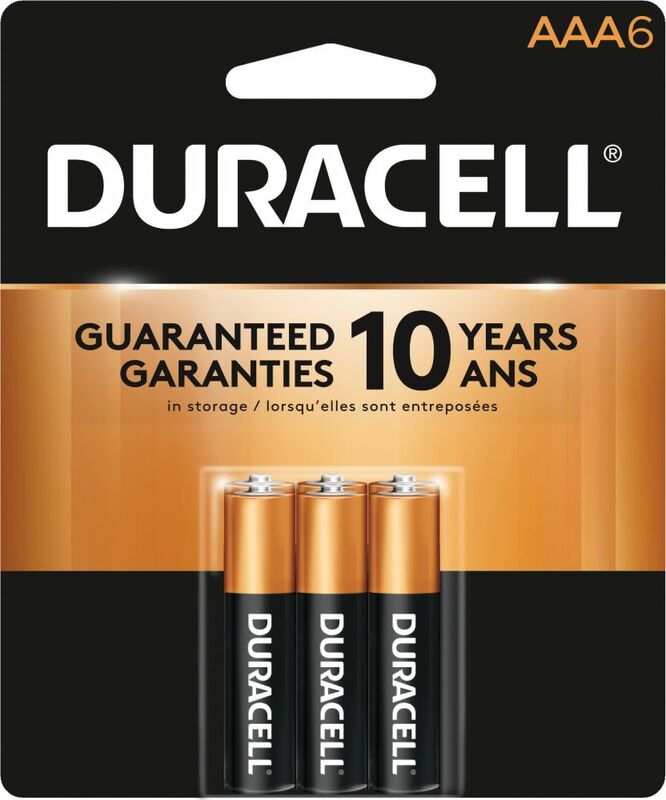 Coppertop AAA Alkaline Batteries 6 count is rated 4.9 out of 5 by 138. Rated 4 out of 5 by HomeDepotCustomer from A battery is a battery.... A battery is a battery. Rated 5 out of 5 by Roxeroo from Works. Expiration date was some month in 2023, so they... Works. Expiration date was some month in 2023, so they were fresh. Yay! Rated 5 out of 5 by HomeDepotCustomer from The batteries last longer than other brands. ... The batteries last longer than other brands.